Is Metal-to-Plastic Conversion Feasible for Your Industrial Application? As we discussed in a recent article, a number of industrial sectors are converting metal components to plastic to gain efficiencies in cost, weight, performance, aesthetics and durability. All of these reasons are convincing arguments for metal-to-plastic conversion; however, the process isn’t right for all industrial applications. A comprehensive feasibility analysis holds the key to determining if your project is suitable for metal-to-plastic conversion by evaluating it from three fundamental perspectives: design, manufacturability and return on investment. To fully understand component design effectiveness and/or possible modification to accommodate conversion, it is critical to know how the product will be used. Design engineers must be able to accurately evaluate the real-world environment of the product including temperature, mechanical impact/load, EMI/RFI, etc. to ensure the product doesn’t succumb to premature field failure. Examining these elements holistically, without relying on assumptions that could otherwise derail the entire development process, leads to the best possible material choice and ultimate decision about your project’s fit with metal to plastic conversation. Such was the case with a well-known food waste disposer manufacturer. They needed a complex housing component that could withstand the extreme pressure of the machine in operation. However, they had to balance choosing a resin that was strong enough yet also moldable and compatible with the machine’s seals and related plastic, metal and rubber components. Practicality is one aspect of design evaluation, but the rubber meets the road in the component’s ability to be manufactured. 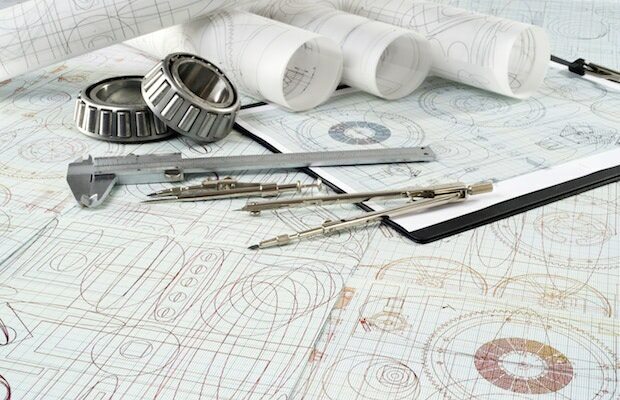 Design for Manufacturability (DfM) focuses on proactively designing products to optimize fabrication, assembly and testing – characteristics dictated by materials from which components are constructed. Metal is traditionally the default choice if strength and durability are called into question; however, with proper material and design optimization, plastics can be as strong as metal and weigh far less. But, that still doesn’t answer the question of manufacturability. An experienced complex injection molder is your best bet in providing the answer. Their expertise in plastics behaviors and scientific molding will guide the decision process. For example, a company in the mining industry approached Kaysun about manufacturing one of its air-operated double diaphragm pumps in plastic instead of metal in order to increase corrosion and chemical resistance, and ultimately to economically extend pump life. We worked with the client’s design team to select resins that possessed the specific mechanical and chemical properties needed to withstand various environmental conditions that would affect the pumps. The part design was then adjusted to better fit the injection molding process, and structural ribs and material core-outs were added to minimize thick sections and balanced material flow. The final plastic product met all the performance goals, including lower production costs, and continues to be manufactured today. Even if your project is manufacturable in plastic, cost is always a factor in determining whether it actually makes sense. Oftentimes the reason a company wishes to make a component out of plastic instead of metal is to reduce costs in shipping and production. However, there are instances, such as a highly technical or complex application, where the cost of required resins or production processes to achieve end-use performance may negate any potential cost savings. Conducting a cost analysis to verify the total return on investment before moving forward with production will prevent expensive surprises. Metal-to-plastic conversion is often ideal for industrial applications, but the decision warrants careful feasibility analysis of design, manufacturability and total ROI, which is done by working with an experienced injection molder. To learn more about the benefits of using plastic components and the conversion process, download our whitepaper, Metal-to-Plastic Conversion is the Wave of the Future.